Cotton fill with careful choice and strict sterilize process.Which is durable, close-skin and breatable. We make this comforter with baffle boxes construction and fill each pocket equal weight.It will keep the warmth of comforter on the maximum. 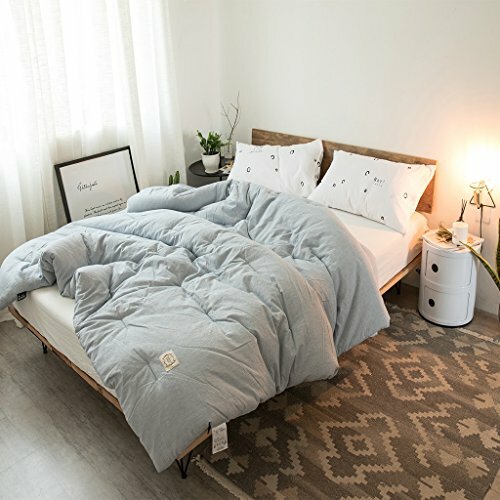 You will feel the heat from the comforter and spread all over your body in the winter.This comforter with heavy fill but with lightweight feeling. Double stitch line ensure the fill leakage and lengthen the usage of comforter.It will be good choice for you to pick up one for your bedroom. Factory direct sales, price concessions. Soft and comfortable hollow fiber filled, Cotton. Natural and comfortable, skin-friendly soft, fresh seal and packaging. Stylish lace design, nice, in line with your home simple style. Anti-allergy feathers, suitable for use throughout the year, inhibit dust mites, bacteria and fungi. The feathers help to increase the weight of the duvet so that it gently molded the body, keeping you warm and all night long. If you have any questions about this product by Duvet, contact us by completing and submitting the form below. If you are looking for a specif part number, please include it with your message.